Most of us have experienced buyer’s remorse. We bought that thing (aka shiny object) we just had to have and then had a change of heart not long after. Did you know there are buyer’s remorse laws, also known as the FTC’s- Cooling Off Law Rule? This rule basically gives consumers 3 days to cancel sales that are covered by the rule. If you have bought real estate, you may remember being given a cancellation form among the mountain of legal documents and having to wait three days before everything was finalized. This is the buyer’s remorse laws in action. I wrote about one of my purchase regrets here (a car) and it took some hard lessons learned to figure out the ways (below) to avoid buyer’s remorse. 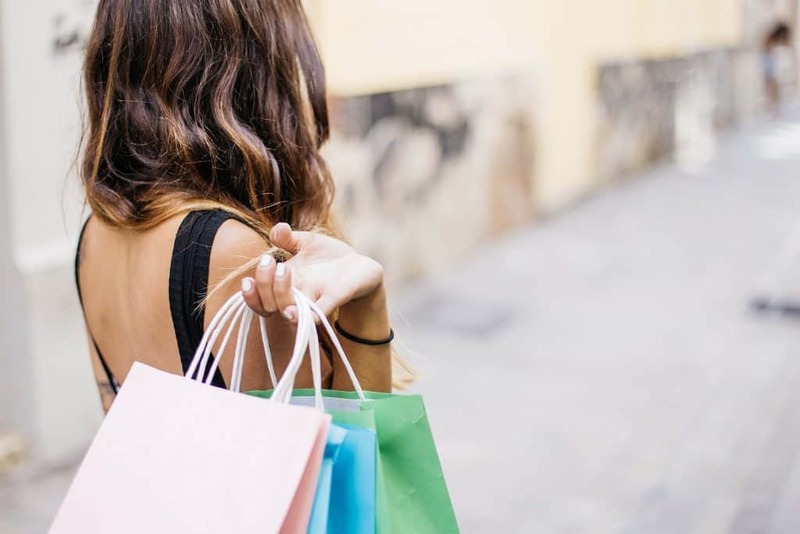 Impulse buys can turn into a financial nightmare! If you’re an Andy Griffith fan, then you’ll remember the classic, Barney’s First Car. Barney decides on a whim that he’s going to spend his entire savings on a car. He comes across an ad of a recently widowed elderly lady who needs to sell her late husband’s “treated with kid gloves” car to cover funeral expenses. Barney ends up giving her more than she asked for the car and scoffs at the idea of having it checked out. How does this sweet deal work out? The sweet little old lady turned out to be the ring leader for a car theft gang. We‘d like to believe that Barney learned a few valuable money lessons from this experience. Now let’s move from fictional Mayberry to modern day smart money moves to avoid buyer’s remorse! 1. Do your big purchase research. We’re definitely not in the slow-moving communication days of Mayberry. We live in the fast paced world of Google & Amazon. Research, reviews and a wealth of knowledge are just a few clicks away. It pays to do your homework ahead of a big purchase. Doing this research ahead of time can greatly reduce the consequences that result from an impulse buy. 2. Consider the advice of trusted friends. Those closest to us have our best interests at heart. A trusted friend will tell you their honest opinion, even if it’s not really what we want to hear. If you know a friend who has been through a difficult financial situation, they are speaking from experience. Their advice can help us to not repeat the same mistake. Another option is to consult about big financial decisions with someone you know in the banking or finance industry. I have found most of these professionals to be very helpful and knowledgeable whether I do business with them or not. Too many people are tapping into their retirement savings when what they really need is an emergency fund. They think of retirement as “someday” but then that day comes, and sadly it’s not enough. This is a frustrating reality for a lot of people who should be enjoying their non-working years. The best way to prepare for retirement is to put as much in as your employer allows during your working years and protect it at all costs. Your retirement years shouldn’t be spent worrying about how you are going to cover basic living expenses. 4. If it seems too good to be true, it usually is. A couple of years ago, my husband and I came across an ad on Craigslist for a used RV that seemed too good to be true. It was in a neighboring county, about 30 minutes away. The ad details were great and included pictures but we were still skeptical and gave the seller a call. The guy was really nice and everything sounded legit so we set up a time to go look at it. Long story short, he did not disclose that it had been wrecked and repaired. If we had not noticed the different shade of paint on the front corner from a thorough check, we would have had a serious case of buyer’s remorse! These type of experiences stink! They take up time and end up being a huge disappointment. When something seems too good to be true, ask a lot of questions and listen to your gut feelings. When you have an appliance that quits working, it often feels like the situation is more desperate than it really is. This can often lead to purchasing a big item when emotions are high. 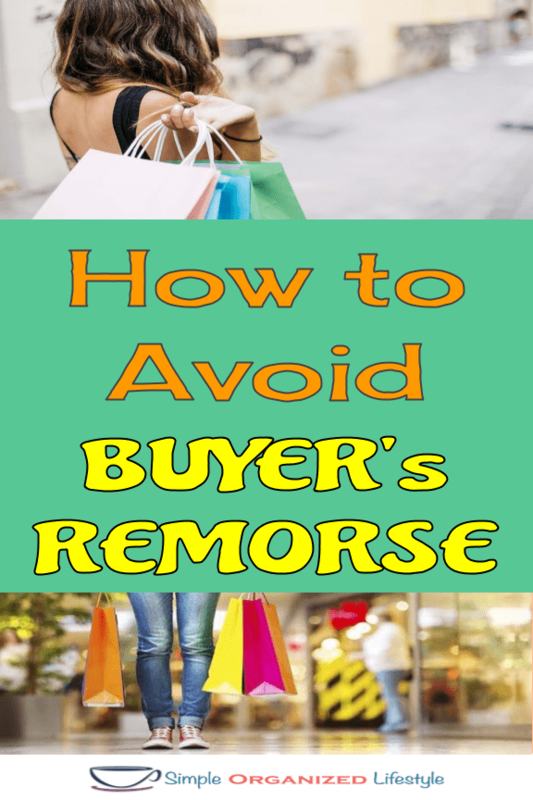 One of the best ways to avoid buyer’s remorse is to decide- not to decide- so quickly! Sleep on it and make the decision when you are thinking clearly and have weighed out all the pros and cons. A good night’s rest is sometimes all that you need to make a better decision with your money. 6. Look out for scammers and spammers! Scams come in many different ways, both online and offline. Have you ever gotten a call or an ad flashing across your computer screen that you’ve won a cruise? Yeah, a cruise right through your bank account! Keep yourself safe online and offline by not giving out information when something just is not quite right. Your “BS meter” is the best form of protection there is, use it to save your finances! 7. Learn from money mistakes. Most of us have made a financial decision at some point in our lives that we regretted. It’s very easy to do and hard to fix. Turning a money mistake into a lesson learned is the best way to get back on track and avoid having to resort to buyer’s remorse laws for a deal gone bad.